The Gatehouse has stunning sea views from every room and sits in an amazing coastal location on the South West coast path and above the beach at Portreath. The Gatehouse apartment was built on the site of an ancient fort and looks out across the sea and the iconic Gull Rock. 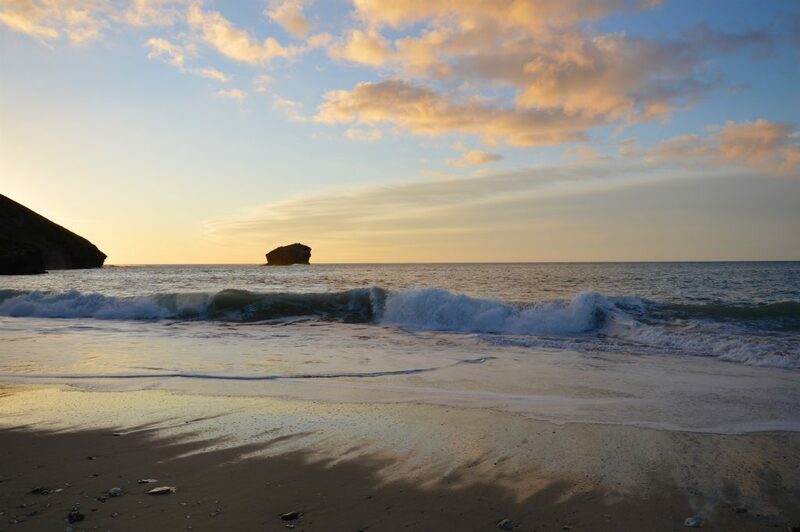 Portreath is on Cornwall’s North Coast and has a golden, sandy beach which is only a two minute walk from the Gatehouse, this beautiful beach is popular with families, sunbathers and surfers alike. 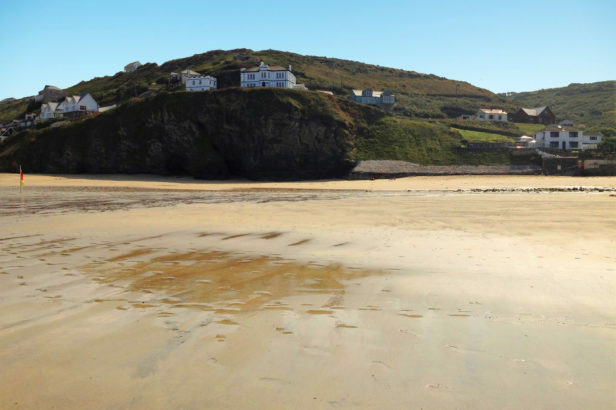 The seaside village of Portreath offers a range of local shops, traditional pubs and cafes and with the direct access to the South West coastal path is a great location to explore Cornwall and join the coast to coast cycle route. 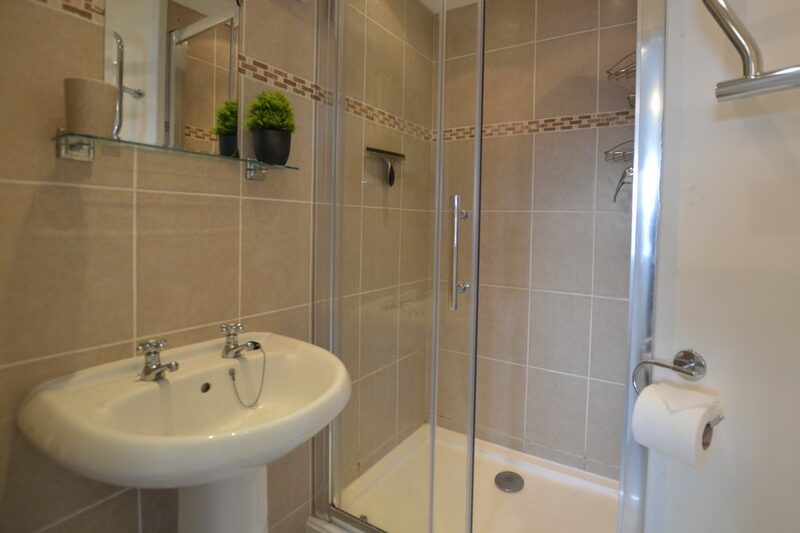 This light and airy first floor apartment has an open plan living/dining/kitchen area, the kitchen having a dishwasher and fridge/freezer. 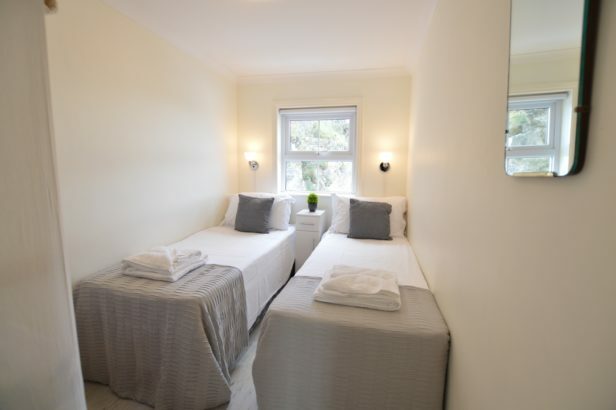 Bedroom one has a double bed and bedroom two is a twin, the twin beds can be configured into a king size bed upon request when booking, the apartment also has a shower room. 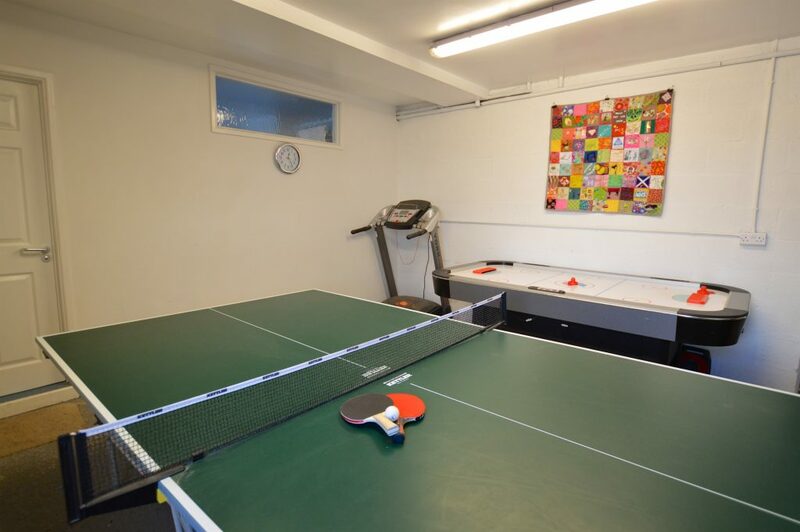 Guests at The Gatehouse are welcome to use the games room which has a table tennis table. 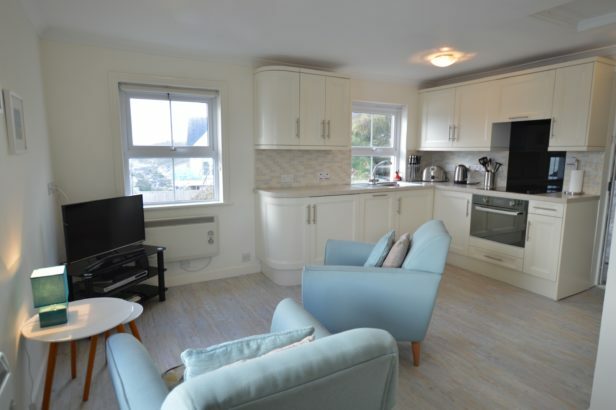 The separate utility area for The Gatehouse is on the ground floor and has a washing machine, tumble dryer and second shower, great to use after a day on the beach. There is an outside patio area for guests to enjoy the magnificent rugged scenery of the North Cornwall Coast. 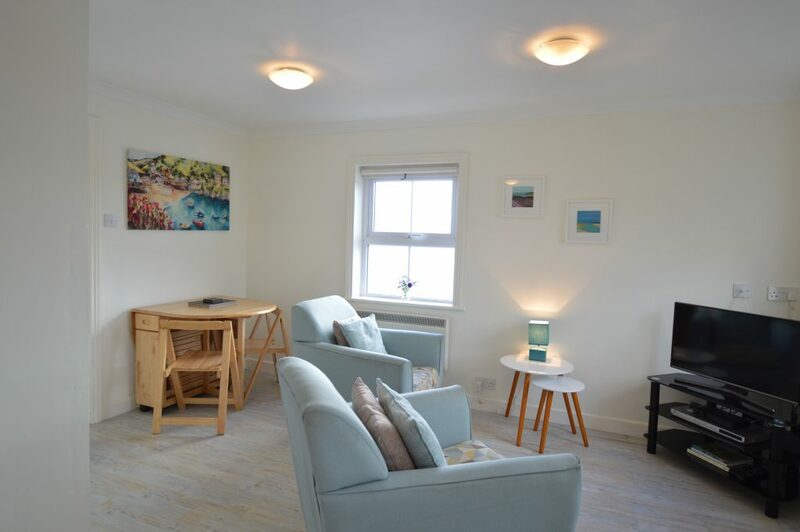 This lovely holiday home is perfect for up to three adults or two adults and two children and has a reserved parking space on the driveway, it is a great location at any time of year, why not enjoy wave watching all year round. 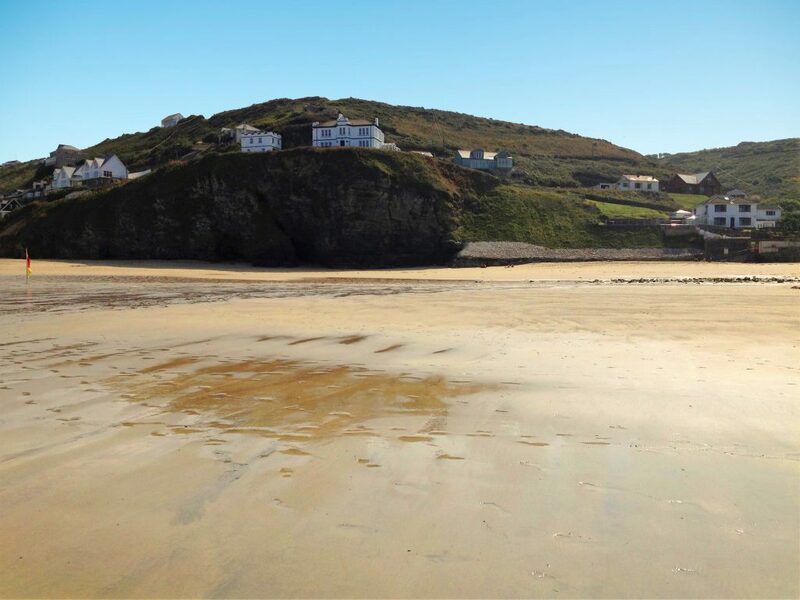 Great Location, Modern Amenities ★ ★ ★ ★ ★ The Gatehouse sits high above Portreath Beach with glorious views from all windows. The two bedrooms are spacious, the kitchen and bath are modern and attractive. There is a game room and washer and dryer on the ground floor. The hosts were very friendly and helpful. You couldn't ask for a better holiday rental! Its just a short walk down to the beach and several good pubs. We were fond of the Basset Arms, which is a friendly place with good pub food. 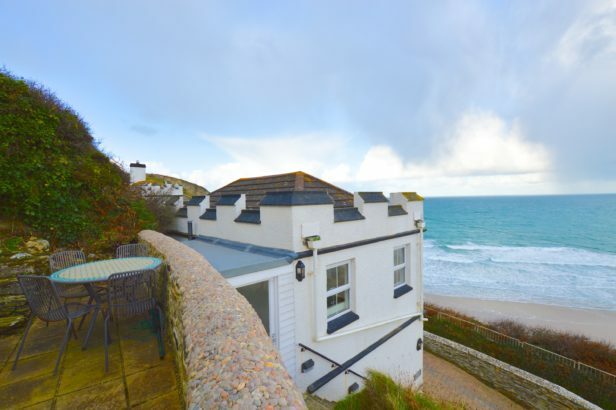 Absolutely loved staying at the Gatehouse in Portreath. 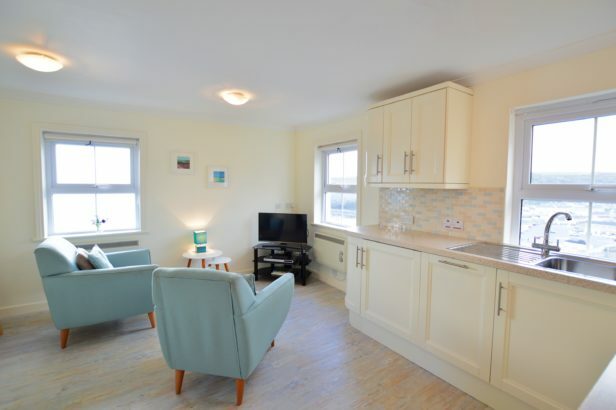 Very well laid out flat with wonderful views and sea breeze. Fantastic beach with caves to explore at low tide. 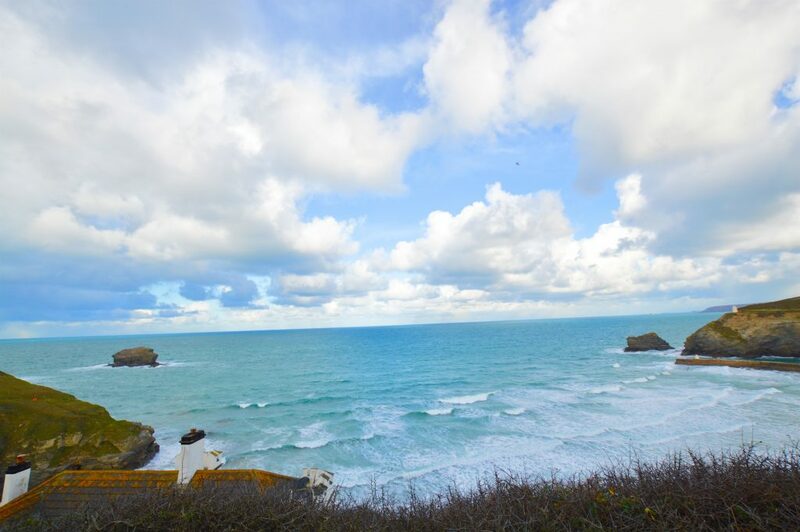 Can walk to nearby cliff top coastal path for more glorious views. Fish and chips from local take away, just a stroll down the hill, as are a couple of nice pubs. Loved the place!! We have just spent two weeks in Heaven. The views from the apartment are spectacular and the location, just two minutes walk from the beach, was perfect. If you want a relaxing holiday. This property was absolutely ideal for two of us visiting the Cornwall coast. 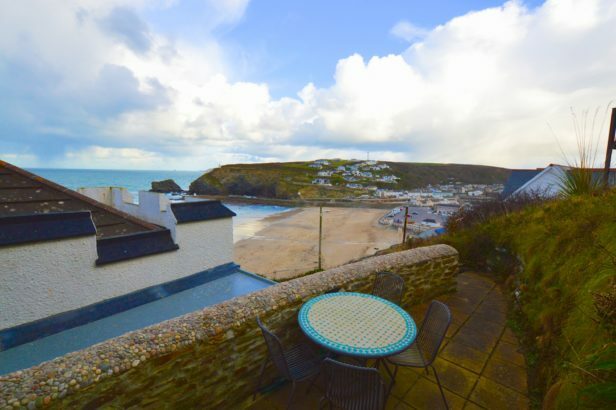 It is well located on the Cornwall coastal path and overlooks the little surfing bay in the village of Portreath, and yet it is also very quiet and has a feeling of privacy. This is because it is perched on the hillside on the upper level of the gatehouse, and it has its own private patio area. The view posted by the owners is the actual view from the apartment. Everything in the description is accurate. The apartment itself has been recently renovated and is nicely decorated. The appliances are new and of high quality, the kitchen is well equipped, and everything was clean and fresh. It is very comfortable for two people or for a small family, and the windows make it light and airy. Our hosts the Mullins couldn't have been more hospitable and helpful. They communicated well and made us feel very welcome. This truly is a seaside gem! 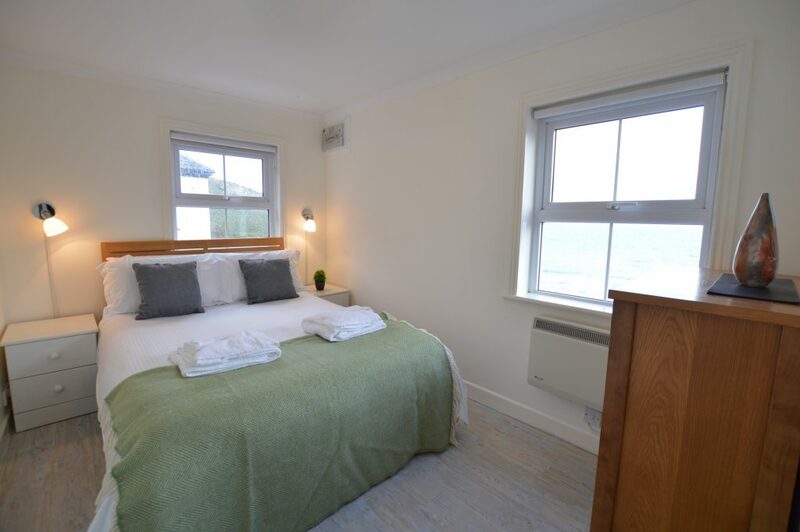 The location makes it perfect for walking the coastal path and enjoying the great vistas, and its comfort and amenities make it a wonderful place to stay. I will definitely return to this property if I have the opportunity. It exceeded my expectations! The house is located on a small hill. One can look from almost every window onto the sea. It is very clean and everything is available that you need. The place is best for two. It is also possible to have up to two children with you, but for us it was perfect. The village is also very nice. Pubs, shopping and the beach are almost on the doorstep. The Coast Path also passes by the house. The landlords are very friendly and helpful.